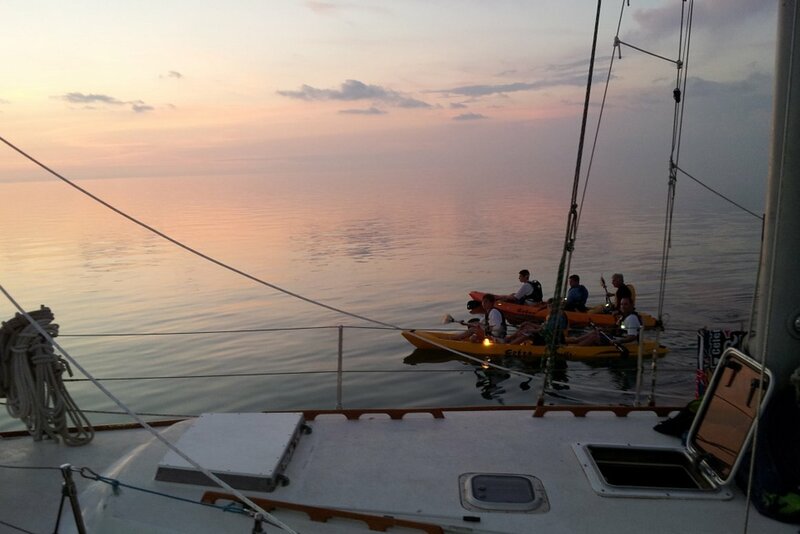 Take an educational and ecological tour that is simultaneously fulfilling and fun! Your knowledgeable captain will help you in identifying the local flora of the Keys as well as the Everglades National Park, including exotic birds, dolphins, manatees, and sometimes even the American Saltwater Crocodile! 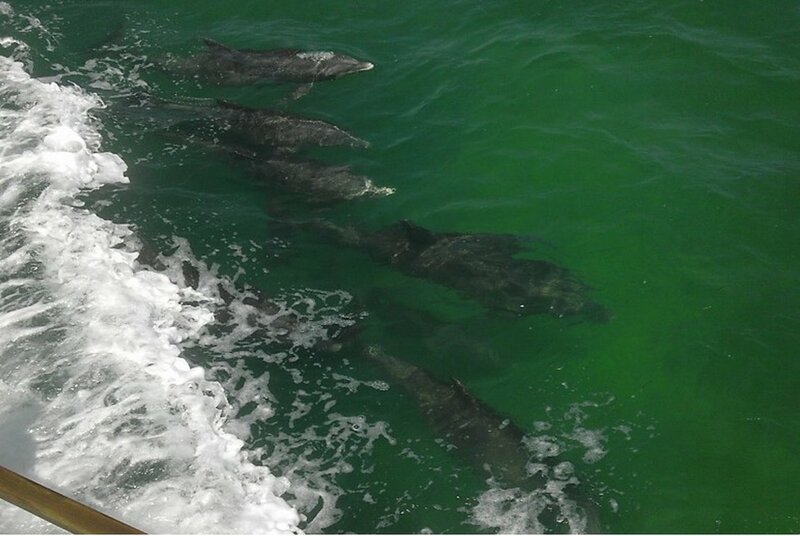 Not only can you learn from the boat, but you can really get up close and personal with the environment! There are kayaks and paddles for you to actually go through the local mangrove forests, as well as snorkeling equipment and fishing gear! Soft drinks are provided, and custom box lunches ($25 per person) and hors d'oeuvres trays ($50) can be requested ahead of time. When in season, Florida Keys Stone Crab Claws can also be requested at market price. The half day boat trips begin at 10am and end at 4pm. Additionally, the quarter-day excursions listed are only available for sunset. They are short three hour excursions, that vary in start time depending on time of year. Captain Harold Ochstein grew up in the Midwest, where he began sailing on the local lakes when he was 10 years old. He graduated from Butler University in Indianapolis, Indiana with a Bachelor of Science in Business Administration. After learning to dive in Indiana’s limestone quarries, he and his wife moved south. After settling in Florida, Harold began purchasing and working on a large variety of power boats and sailboats that he rebuilt, upgraded and then sold. He gained extensive experience on his power boats taking friends and family on sport drift-diving trips, snorkeling trips, and fishing and camping trips throughout Florida and the Keys. After purchasing his first sailboat in 1995, Harold began working and living on sailboats; and eventually, he earned his Captain’s license. In his career as a Captain, Harold made many deliveries of new Catalina, Beneteau and Island Packet sailboats to the Miami Boat Show. He also captained a 36’ power cat operating as a commercial snorkel boat in the Keys. He ran the 83’ schooner “The Heritage of Miami II,” offering day trips from Downtown Miami into Biscayne Bay. He also captained “The Heritage” and “Yankee,” an 80’ schooner, both in the Boy Scouts of America High Adventure Sea Base program in the Keys for two years. 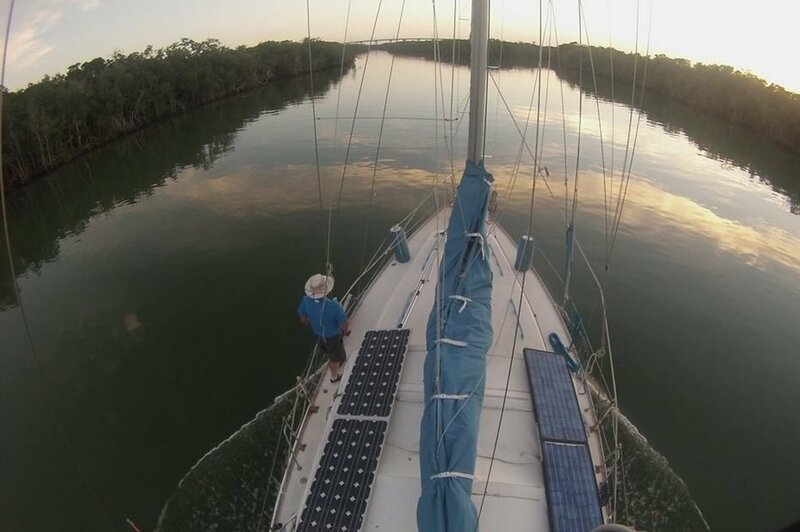 He has spent the last four summers here chartering his own boat with the Boy Scouts, taking scouts for 6 days and 5 nights of snorkeling, fishing and sailing. Welcome to one of the most famous year-round boating destinations in the world! Hop aboard your yacht charter in Key Largo, FL and enjoy this amazing floating playground for both beginners and experienced sailors. 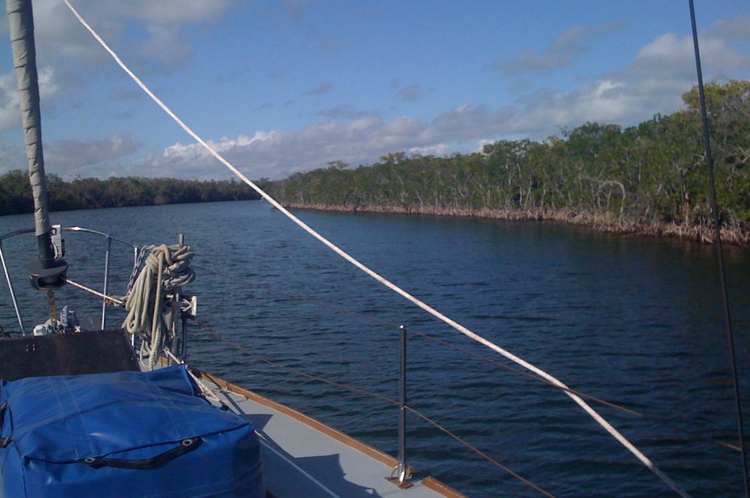 The boat rental in Key Largo, FL you have selected is a Gulfstar Sail boat - a popular choice to explore the natural beauty of Florida’s coast. Sailing on a FL, Key Largo yacht charter is an experience you should not miss if you decide to visit the boating capital of the world. 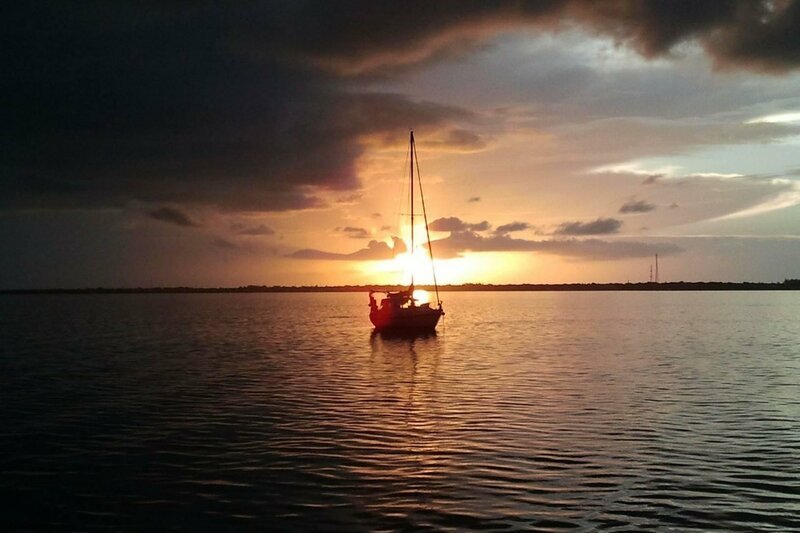 Picture yourself on romantic sunset cruise on this FL, Key Largo boat rental, or having fun with your family or friends on a sightseeing tour along the coast. 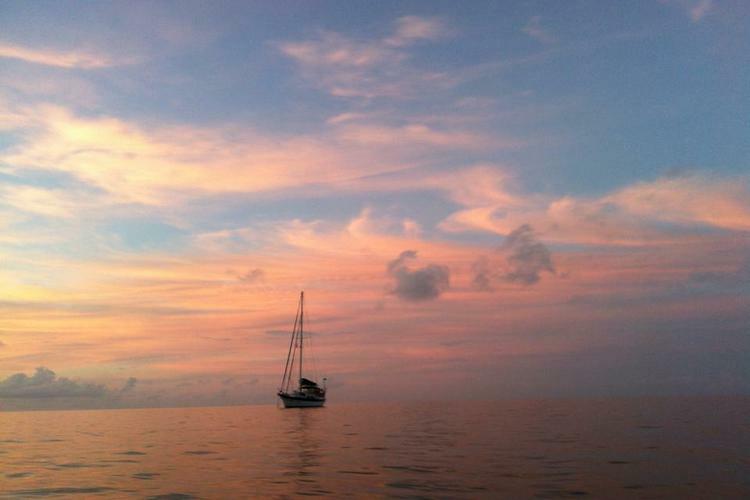 For more ideas about things to do on your boat rental or yacht charter in Key Largo, FL, make sure to check our destination guide for Sailing in South Florida! We invite you to browse through hundreds of Sailo boats perfect for sailing in Florida, and choose the dream Sail boat rental or yacht charter for your nautical adventure. Whether you are looking to spend a relaxed afternoon on a classy motorboat or sailboat, or have a fun on a sporty catamaran, our team here to make sure you will be making the best out of your time on the water. For details about this Gulfstar 41.0 boat rental in Key Largo, FL, or to make special arrangements for your trip, please click on the “Message Owner “ blue button to send a direct message to the boat representative.